The following list shows possible projects that have been suggested by members as things that the local council should concentrate on. They are grouped into small, medium and large (a fairly arbitrary split but broadly dependent on cost and time requirements for implementation). Please add your own suggestions by completing the form at the bottom of this page and clicking on the “submit” button or by emailing projects@derbycyclinggroup.org.uk. Similarly, if you have comments (good or bad) on any of the existing suggestions then please complete the form or email. Periodically the list of suggestions will be reviewed at the monthly members meeting and a prioritised list produced. This should then provide us with an excellent list of projects that we can suggest to the council. DARLEY WARD. Dropped kerb at bottom of South Avenue in Darley Abbey where the cycle path starts. DARLEY WARD. Mirror to reduce chance of collisions on cycle path under St Mary’s Bridge in Derby. ARBORETUM WARD. Widen the dropped kerb at the junction of Becket St and the Wardwick in the loading bay. As soon as 1 vehicle parks here the present infrastructure is rendered obsolete. ARBORETUM WARD. Remove bollards that you have to slalom through to access dropped kerbs along the Wardwick. It encourages cyclists to turn sharply at 90 degrees to the following traffic on the Wardwick to safely negotiate the cycle path. Not always easy with a bus or car/van glued to your rear wheel. ALVESTON WARD. Provide a dropped kerb from Riverside Rd (Pride Park) onto the path that leads to the riverside cycle route. ARBORETUM WARD. Make Bramble Street two-way, or provide contraflow cycle lane. DARLEY WARD. Add dropped curb on Inner Ring Road just beyond Agard Street to access shared path. COMPLETED. ARBORETUM WARD. Contraflow cycle lane or shared pavement path on East side of Gower Street allowing cyclists to go from Victoria Street up Green Lane and join Babington Lane cycle route or turn left from Gower Street. Much safer and less energy sapping than riding up Green Lane to Mercian Way and back down Babington Lane. If necessary scrap car parking spaces in Gower Street. ARBORETUM WARD. Dropped kerb each side of the area at the end of Stuart Street and Louden Street (near Arboretum Park) to create a cycle route through whilst retaining the vehicle restriction. Save time for cyclists using this route and reduce risk of damage – currently have to stop, climb kerb, then drop down other side. NORMANTON WARD. Create a refuge / waiting area for cyclists turning right from Upper Dale Road into Clarence Road. This is a turn into a one-way street for vehicles but both ways for cyclists. Drivers on Upper Dale Road are not expecting a cyclist to be turning right into what to them looks like a “No Entry” into Clarence Road and likewise cars turning out of Clarence Road seem surprised when I am waiting there. The road seems plenty wide enough to paint a cycle waiting area and chevrons etc. CITY WIDE. Remove raised curbs guaranteed to cause pinch punctures as with the path from Darley Abbey to the weir, as well as the usual bollards/street furniture. ARBORETUM/ALVASTON WARDS’ BOUNDARY. Widen cycle path under the railway bridge at entrance to Pride Park. Install better lighting, current illuminated posts are poor. This will better accomodate pedestrians and cyclists at busy times. DARLEY WARD. Improve the cycle lanes on each side of Duffield Road from Palm Court to the Broadway. Currently, the surface is terrible – very rough. Resurfacing is needed to create a nice smooth surface which if combined with a coloured surface (e.g. red or green) will make the cyclelanes more attractive for users and also help define them as a safer space separate from the rest of the road. DERBYSHIRE COUNTY COUNCIL. Bring the cycling pavement alongside the A61 between Pektron and Little Eaton islands up to modern, safe, standards for cycling and walking. This is not only the potentially safest cycling route to and from Little Eaton and Duffield, it also provides the only potentially safe routes for residents in, and visitors to, everywhere north of Derby in the Amber and Derwent Valleys. ABBEY WARD. Create a cycle friendly route for travelling to/from Mickleover and the citycentre, running parallel to Uttoxeter New Road. To create this, only a few minor changes are needed. Taking the route out of the city: 1. Start at bottom of Drewry Lane. This has good access via cycle paths and crossings to Abbey Street and the city centre. 2. No changes needed to Drewry Lane. I cycle it regularly and find it safe and comfortable. 3. At Drewry Lane and Peet Street remove the “No Cycling” restriction on the path that runs behind the cemetery. 4. No changes needed to rest of Drewry Lane 5. Route continues down Camden St. This is not particularly busy, but narrow with cars parked down both sides. Could restrict parking on one side to improve safety for cyclists. 6. (this is the big one) Create a cycle route from end of Camden Street along length of Hoult Street. This would be against car traffic flow and could be either a contra cycle lane, or widening of the pavement and making it shared use. 7. Cyclists could then exit (give way) at bottom of Hoult St, left turn only, onto Uttoxeter New Road, where there are better (though not perfect) marked cycle lanes. This scheme will provide a much safer route out of the city, which avoids Uttoxeter New Road. A busy road, which does not have lanes wide enough for traffic to safely pass cyclists if something is coming in the other direction, meaning cars pass very close. As it is up hill, cyclists (including myself) tend to be less steady and less likely to maintain a straight line. Finally, the junction of Uttoxter New Road, Junction St, and Boundary Road feels very dangerous. I have had several “near misses” with cars that are too keen to cross the junctions and have not seen me. This route would eliminate that danger. • A two-way cycle path is needed from the entrance of RDH down to the ring road. As well as the minimum requirement above, there is space for a two way cycle path from Manor Road to Hoult Street alongside Uttoxeter New Road. This could feed into an on-road quiet route along Holut Street and Drewry Lane into the city centre. 9000 people work at RDH, but the road from the ring road to the entrance of the hospital is one of the most daunting roads on which to cycle; it is a 40mph speed limit dual carriageway. Several things are needed to enable hundreds of people to feel able to cycle this way to work at the hospital each day, benefitting their own fitness and health, benefitting the hospital from a fitter and healthier work force and helping to reduce congestion and pollution along this route. MACKWORTH/DARLEY WARDS’ BOUNDARY. Junction of A38/A52. The crossing for pedestrians. A Belesha beacon type is hazardous, particularly when crossing the West bound traffic at busy times. The problem is – there are three lanes to cross. Drivers approaching in the far lane cannot see pedestrians and cyclists starting to cross . It can be difficult for pedestrins when waiting to to see what is approaching in the far, 3rd lane particularly when the nearer lanes are occupied by a van, lorry, or bus. On-road cycle lanes, both directions from Broadway to Five Lamps. Benefits: Cycle lanes here would make it easier and safer for cyclists to filter past queuing traffic during peak times. It removes the issue of some cars queuing by the centre line of the road and others queueing right next to the kerb. The cars may be stuck in a jam, but cycle lanes would at least help cyclists to travel through, would encourage more people to cycle on this route because it would feel safer and may even encourage some drivers to try cycling as well. Quiet route parallel to Kedleston Road: Jonty Farmer > Watson Street > Parker Street > Kedleston Gardens. This requires a path to be created from the Jonty Farmer to Watson Street, for which there is land available but no way through exIsts at present. Benefits: This route would help those people who find it daunting to cycle on busy roads, such as Kedleston Road. It is another link from the University towards the city centre and provides a high degree of permeability when used in conjunction with the other routes nearby (Kedleston Road and Markeaton Street). With the many and various University departmental buildings and student residences in this area, and the forthcoming cycle hire scheme, the area needs a high density of cycle routes to cover as many potential journeys to be covered as possible. Off-road, two way, cycle paths linking Harvey Road and Raynesway cycle paths, also extending through the district centre along London Road from beyond Brighton Road to beyond Elvaston Lane.Benefits: London Road through Alvaston is a terrible road to cycle on. This scheme would connect the cycle paths along Harvey Road and Raynesway together and give access to businesses in Alvaston District Centre. This would encourage many more cycle trips to Alvaston, more commuting and other journeys passing through the area, would improve cyclist’s safety and would reduce the incidence of pavement cycling which happens because people are too frightened to ride on the road. 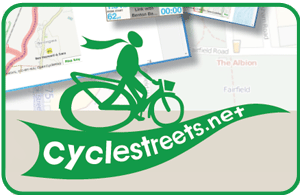 Cycle & pedestrian-priority crossings at all side roads. This is easy to do and is helped by recent changes to highways standards for cycle facilities such as parallel crossings. The cycle paths are set back off the main carriageway so there is plenty of space to implement give-way facilities by motorists to pedestrians and cyclists. Integration of cycle crossings at traffic signal-controlled junction near Aldi.Benefits: Improve cyclist and pedestrian safety where roads cross the cycle lane, making the whole route more amenable to a wider range of cyclists, including children and less experienced riders. Replace the narrow, uneven and slippery matting surface of the cycle path between the subway towards Cut Lane and Hampshire Road with a 3m wide, segregated, cycling and walking path.Benefits: Improved convenience and comfort of the route, especially where two or more people (walkers or cyclists) meet and need to pass; making it more attractive for a wider range of cyclists in order to enable more journeys to be made along this safe, and direct route. Install either a parallel (pedestrian and cyclist) crossing on a raised platform, or a toucan crossing, over Hampshire Road where the Racecourse Park path (LCN 66) crosses it.Benefits: It can be difficult to cross Hampshire Road at this point with a lot of traffic coming off and travelling towards Sir Frank Whittle Way. A raised platform will naturally slow traffic down and the parallel crossing will make it easier and safer for cyclists and pedestrians to cross by giving them the right of way, especially at busier times. This would make the route feel much safer, and would make it more attractive to a wider number of users, increasing the number of people using it. DERBYSHIRE COUNTY COUNCIL. Convert former railway branch line through Little Eaton to multi-user route joining with Ripley Greenway. Cromford Canal to Lea Junction. DERBYSHIRE COUNTY COUNCIL. Change of use and some physical development to the footpath that runs N from Alfreton Railway Station to the newly developed cycle path at Normanton Brook. Also continuation parallel railway line N to join Route 67. Would give train passenger / cyclists access to the Phoenix trail Network and National Network – Route 67. Benefits: Would give safe access for the people of Alfreton to the same Networks. Permissive access through caravan site at Whatstandwell. OAKWOOD WARD. Extend the existing off road cycle route parallel to Lime Lane in Breadsall/Oakwood to the west to link to A608 and NCN. Benefits: The existing route is good going downhill until it reaches the end and cyclists must continue on Lime Lane which is totally unsuitable for cycling. There is developer interest in developing the field for housing and chance to influence them to provide suitable cycle route. *Link with off road route to Murray Park School and NCN54; route through hedge directly onto the route towards Murray Park and Mickleover Meadows. Signal controlled crossings are required to get people safely across Ashbourne Road and to the park gates. The entire route can be off-road on dedicated paths which would be very conducive for everyday cycle journeys to work, shops, school, and the park. The route would enable families to travel to Markeaton Park in complete safety. All road crossings should either utilise parallel pedestrian/cycle crossings on raised platforms or via toucan crossings. Some careful design would be necessary near Prince Charles Avenue Shops to integrate the cycle path with pedestrian and motor vehicle activity but this is easily achievable with the right commitment. Benefits: Enabling anybody, and especially families, to use a bike to travel from Langley Country Park to the shops and services in Mackworth, and onwards to Markeaton Park, the University, city centre and also towards Mickleover. The route would also service the people living on the new estate on the old Derby College site. Create a two-way, off-road, segregated, walking and cycling path from Raynesway to Stanier Way. This could be a stand alone scheme.Benefits: This will enable many more journeys into the Wyvern business park, avoiding the busy Wyvern Way, and will open up a continuous, direct, cycle route from Raynesway to Pentagon Island. Create a two way, off-road, segregated, cycling and walking route from Raynesway to Pentagon Island. This requires a connection to be built from Raynesway to Stanier Way > via Stephenson Way to a crossing over the Wyvern Way link to the A52 eastbound > off-road, two-way, segregated cycle path along Wyvern Way to a crossing over the link to the A52 westbound > Improved, widened cycle route past the fast food outlet, with cycle priority at junctions > continuation of the existing cycle path alongside Costco and the bus gate and alongside the whole of Chequers Road to Pentagon Island. Here the path will meet up with the existing paths around Pentagon Island. This route is partly formed by creating new paths, but is also about tidying up existing parts which are very messy and lack proper space for cyclists and pedestrians, especially near Costco.Benefits: This scheme would open up a whole new east-west route alongside the A52 to enable people from Borrowash, Spondon and Alvaston to get access to Wyvern and areas of northern and north eastern Derby, Pride Park and the city centre. It would provide a real alternative to driving from these areas towards Derby, generating many more cycle journeys. f. Off-road, two way link along UNR to Rowditch, utilising replacement of central island at Rowditch with a single-span toucan crossing, to allow parking spaces to move across and make space for off-road cycle path; also moving the onset of two-lane carriageway on UNR to beyond Bemrose School, enabling off-road cycle path and also right-turn lane for Trowells Lane. Where the grass verge starts, the cycle path will run away from the road alongside the pedestrian path and the road will widen into two lanes.Benefits: Encourage many more people to cycle to work at the Royal Derby Hospital, and even some patients to travel there by bike, and more children to cycle to Bemrose School. In addition, the routes between Mickleover, the Manor Kingsway development and Derby city centre will also be much more hospitable for cycling, especially coming out of town and should encourage more cycle journeys to/from these places.